In St. Johnsbury, many people have not taken the steps they need to create an estate plan and to address elder law issues. Within this small town, residents may have a will or may have no estate plan at all. Many people do not think about what could happen in case of incapacity, or about what will happen to their assets when they pass away. Not addressing these issues is a mistake. If you don’t make plans, you could end up with unwanted medical care, assets not being managed in case of incapacity, family fighting over an inheritance, and the value of your assets lost. You need a local attorney with experience who understands Vermont laws and who can provide you with knowledgeable, comprehensive, and affordable advice. 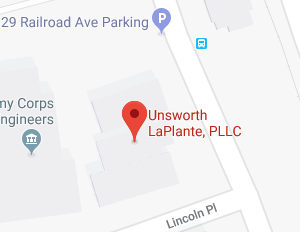 You need Unsworth LaPlante, PLLC to help you with elder law and estate planning issues. St. Johnsbury is the county seat of Caledonia County and has a population of just over 7,600. St. Johnsbury is close to the Canadian border and is to the north of the Connecticut River. Although its population is not gigantic, it is the most populated town in the Northeast Kingdom of Vermont and is considered a commercial hub of the region. National Geographic Adventure’s named St. Johnsbury as the “Best Small Town” in 2006. While St. Johnsbury is a wonderful small town for people to live and work, those in St. Johnsbury still must think ahead and be prepared for the good and the bad which life can bring. Unsworth LaPlante, PLLC provides advice on preparing for incapacity, illness, and end of life issues as well as providing advice on saving for a bright future and leaving a strong legacy. In St. Johnsbury, VT, 15.2 percent of households consisted of someone aged 65 or older who was living alone without other family members. Seniors living alone may be vulnerable to the effects of aging and may eventually require in-home care or a move to a residential nursing home setting. In St. Johnsbury, there is a Health and Rehab Center located at 1248 Hospital Drive. US News and World Report also lists other nearby nursing care centers in surrounding areas in Vermont. These nursing centers and rehab facilities can be expensive, and Medicare or private insurance only provide coverage for those admitted for skilled medical services. Routine custodial care, which most people seek in a nursing home, is covered only by Medicaid. This means unless you are eligible for Medicaid, you have to pay out-of-pocket. Unsworth LaPlante, PLLC provides assistance to seniors in trying to qualify for Medicaid as quickly as possible while protecting the maximum value of assets. Medicaid planning is one of the services provided by our firm to clients in St. Johnsbury. However, it is far from the only service we offer. We not only assist seniors with other issues related to nursing homes, like reviewing admission contracts or taking action after abuse, but we also help people of all ages with comprehensive plans for the future. Whether you are looking for ways to boost retirement savings by taking advantage of tax breaks; are a young parent who wants to make sure your kids are protected if something happens to you; or are thinking ahead to end-of-life issues and your legacy, our legal team can help. We understand Vermont laws and can provide comprehensive, compassionate advice on what you should include in your plan to protect your autonomy, assets, and family even in the face of an uncertain future. St. Johnsbury estate planning lawyers help clients to try to facilitate assets transferring in their estate outside of probate in order to avoid estate taxes and to allow heirs to inherit sooner. In many cases, however, people will just leave a last will and testament or will have no estate plan at all. If you haven’t made plans to avoid probate, your estate will likely wind up in probate court. The Vermont Judiciary explains the court for Caledonia County is located at 1126 Main Street, Suite 1, St. Johnsbury, VT 05819. In probate court, Unsworth LaPlante, PLLC represents executors, personal representatives, and heirs. We help to ensure executors and personal representatives fulfill their duty to the deceased to file court paperwork, manage assets, and facilitate the transfer to new owners. We also assist heirs in making sure their inheritance is kept safe, and can provide assistance and legal advocacy when a will is contested. Other issues can also be addressed in Caledonia County probate court as well. If someone you love has no incapacity plan and you want to make sure you can take control over making his decisions and managing assets in the event of incapacity, guardianship proceedings in probate court will become necessary. We can assist with these proceedings. You do not want to get legal help with just anyone if you are concerned about your retirement, about end-of-life issues, or about your legacy. 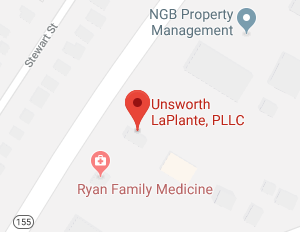 Clients throughout St. Johnsbury have placed their trust in Unsworth LaPlante, PLLC, and our legal team has proved time and again that we are 100 percent committed to meeting the needs of our clients. Whether you want to plan for incapacity, or are focused on an estate plan for your legacy, we can help. We assist people with asset levels of all sizes, and with people of all ages, so never hesitate to reach out to us for help. We know the local probate system in St. Johnsbury and we are known as being seasoned estate planning and elder law professionals who can provide the types of comprehensive advice which will make a difference in your future. To find out more about how our legal team helps clients in St. Johnsbury, give us a call at (802) 879-7133 or contact us online today.